Give your turntable a much-needed upgrade! 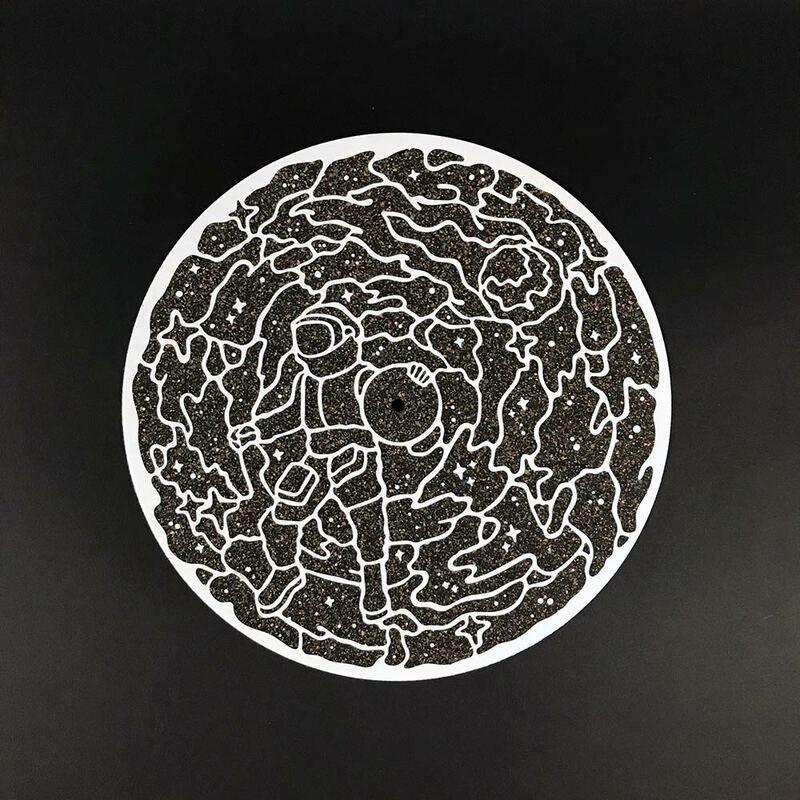 This deluxe turntable mat is made of a cork/rubber hybrid to improve isolation and reduce record wear. The material grips your vinyl better for less slippage, fewer timing errors, and less static build-up compared to a standard felt mat. Limited to 50 copies worldwide. 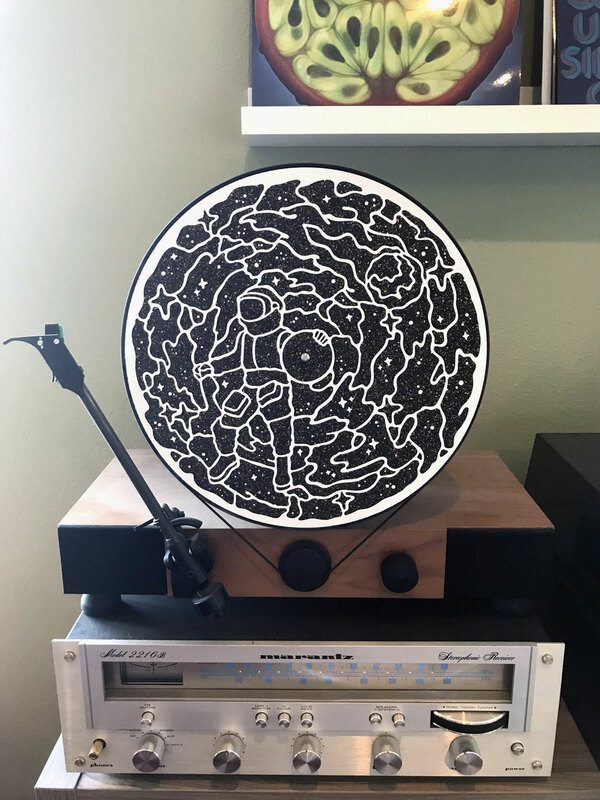 The moonman design comes from our good friends at YAWN, who were behind the design of Volume 004: Surface Tension and our original cursive logo.